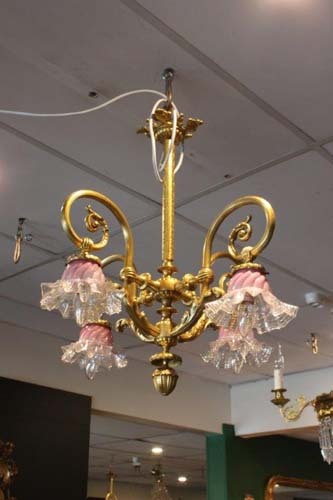 Fabulous gilded bronze four branch chandelier with it’s original pink vaseline overlay shades, all in pristine condition. 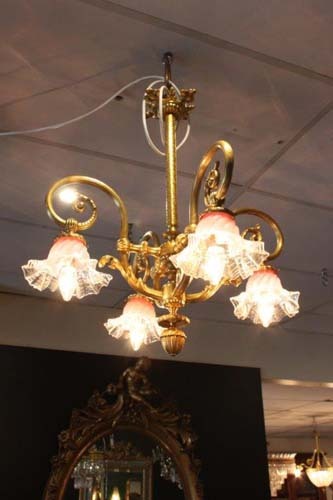 Great form and attention to detail in this well cast example. Measuring; 650mm x 650mm.